The Broke Mill Story | Same Broke Mill, New Owners, Meet Them! Broke Mill RV Park in Del Rio, Texas shows signs of its past. A broken windmill greets guests at the entrance and rustic wooden doors and cabinets decorate its modern facilities. It's all part of the homage to what the land used to be and what it is today. Owner Mike McCarson developed the idea of the Broke Mill RV Park more than a decade before it opened for business in September 2008. It all began when his family bought a travel trailer. “We didn't buy the travel trailer to be an RVer,” he said. 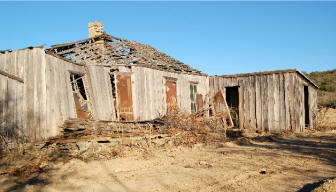 The family initially used it to provide additional housing at the family ranch in Real County. Later, it was used at friends’ homes or at RV parks. As McCarson and his family used it more, including a few two week vacations, he began taking notice of how RV parks were designed and utilized. “Most RV parks are older and don't have adequate infrastructure,” McCarson said. RV sites built decades ago, don't easily accommodate the larger rigs with slide outs on the road today. For years, McCarson researched RV parks; studied the traffic; watched how RV parks were used by rally groups and Winter Texans; and searched for land. With a vision of what he wanted, he was able to buy 180 acres in 2005. He spotted the property years before, but the owners wouldn't break up the 1,800-acre parcel. When the owners were ready to sell, McCarson was ready to buy. “It took 10 years for the right land at the right price to come together,” he said. Construction didn't begin immediately, because Broke Mill RV Park’s public water system had to be approved by the state of Texas. “We obviously didn't want to spend money on the park until the water system was approved,” he said. It took two years for the approval and construction got under way in May 2007. McCarson took a hands-on approach overseeing every stage of the project with a crew of workers he assembled and subcontractors. While talking about his first workers, he can't help but laugh. The design of Broke Mill RV Park is a combination of McCarson and architect and RV planner Ron Beard’s work. “It's similar to building a town,” McCarson said. The plan had to consider septic, water and utility lines and the paved road system. In addition to laying out the underground utilities properly, he said, “It has to be engineered properly.” Everything had to work properly — down to wireless Internet service at each site. The buildings at Broke Mill RV Park include a community center with showers, a fitness center, laundry, day room with book exchange, swimming pool and patio. “One thing I wanted to do in my RV park was have the ability to provide live entertainment,” McCarson said, so guests didn't have to leave the park. He offers it in the 5,100-square foot event center with sound and light equipment ready for performers. Broke Mill RV Park has been host to dinner theater performances, a Bluegrass festival, square dancers, rally events and private parties. “You really don't find it very often,” he said of the entertainment options. While Broke Mill RV Park guests use the park for leisure today, the park used to be home to Val Verde County ranch families, who worked the land they owned or leased. The stories about the ranches that once operated on the site of Broke Mill RV Park are tales of childhood's long past and a bygone era. The Broke Mill RV Park got its name from a broken windmill found on the property, McCarson said. The windmill was moved to the park entrance on Hwy. 90. “It sat there until the wind wore it out,” said Charles Kelley, who operates Kelley Ranch behind Broke Mill RV Park. “It stayed broke a lot of the time,” he said of the windmill. Charles’ grandfather Charles L. Kelley owned the ranch he operates today, while Charles’ great Uncle Thomas Kelley owned what would become the Broke Mill RV Park. Thomas and his wife Kalula – “Aunt Lu is what the family called her,” Charles said – owned 3,600 acres, which stretched across Hwy. 90 West. Charles’ grandparents moved to Val Verde County in late 1892. “I'm not sure if they lived here right way,” Charles said. “I guess they homesteaded.” Their descendants use the house his grandparents built in 1900 today. Six generations have lived on the ranch. Back in 1903, Charles said his grandfather and his great uncle, who owned the ranch where Broke Mill RV Park sits, had 10,000 sheep. Without fences, Charles said there were able to loose herd those sheep around the area following the water. The number of sheep was mentioned in a small phone book. Charles said it was a little bitty book, just a few inches in size. The phone book detailed products produced all around the area. Charles gathers information about his family from his memory and sources like the phone book. “Our family never talked a lot about the past. They just didn't talk about things,” he said. 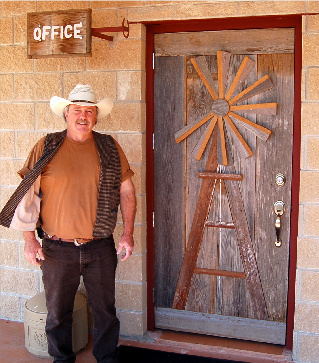 Bobby Burk, who operates a ranch on Hwy. 277, was in first grade when his aunt and uncle leased ranch lands where Broke Mill RV Park is today. 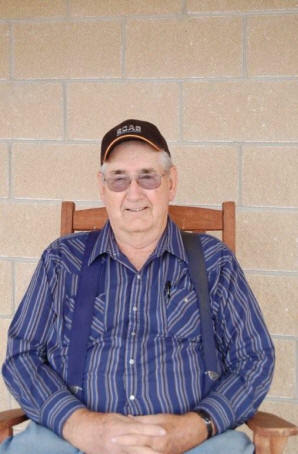 Burk, 78, remembers visiting his Uncle Howard Roberts and Aunt Dixie at the ranch house, which had partially caved in by the time McCarson took ownership of the property. An addition to the house, which served as a schoolhouse, still stands. Other buildings like the shearing barn, garage and the bunkhouse for the ranch hands were in tact. “There was no salvaging part of the home, because the roof had caved in,” McCarson said. After it was torn down, he saw that the wood could be used for be decorative purposes in the park. Nails were removed and the wood was stored until the buildings were in place. 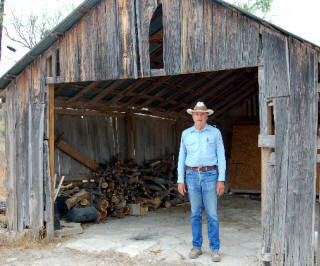 Master Carpenter Mike Haenn of Brackettville used his more than 40 years of experience to design the unique carpentry from the old wood from the ranch house. His artistry can be seen throughout Broke Mill RV Park in construction of the doors and cabinets and the specially designed door stops throughout the park. “We wanted to incorporate the look and history into the new park,” McCarson said. Haenn did this by taking the 90-year-old lumber and creating one-of-a-kind doors and cabinets. “That’s the original color,” he said of the doors with shades of green, blue and pink. The wood is in its original state. He only used a wire brush to clean up the wood. Doorknobs from the buildings were used as hardware on some doors. Burk remembers the ranch house being alive with activity, including a few rattlesnakes under the floorboards. His uncle would tell his aunt to get some water, which she would boil. “(His uncle) would stomp on the floor” and when the snakes rattled, the hot water would be poured along the cracks in the floor. “The hot water would kill them,” Burk said. The next day, the boys would drag the snakes out from under the house with sticks. He has memories of the things he did with his grandfather. “When I was just a child, Granddad would go with me and we'd go up on this hill,” he said. The pair would watch the Calvary from Brackettville file by on old Hwy. 90 on their way to Marfa to join another unit to perform maneuvers. “It would seem like all day – a long train of cavalry on horseback.” He doesn't recall any mechanized vehicles. Charles said Hwy. 90 used to be behind the Broke Mill RV Park. The road changed locations decades ago when it was worn out. The old dirt roadbed can be seen from the backside of the Broke Mill RV Park property. When the old road was still in use, Charles said his father told him a story of how the highway used to have a gate across it. “Daddy would run out and open it,” Charles said. Drivers would tip his father a nickel for opening the gate. By the time Charles began school in 1939, his grandfather was getting blind and his father Claud Kelly, who was born, raised and educated on the ranch, took over the operation. Charles was born in 1933. While his family kept their ranch, Thomas Kelley's ranch — Broke Mill RV Park’s property — changed hands a few times. The ranch was sold in the 1930s. “It was a necessity,” he said. Burk remembers working at the ranch when his aunt and uncle operated it. He estimated around 1,225 sheep were on their ranch. Part of the old house on the Broke Mill RV Park property was used as a schoolhouse for children in the area. “I don't know who all went there,” Charles said. His father was born in 1905. Some people still used horse and buggies back then, so he went to school at the ranch. “It was handy,” he said. McCarson said numbers remain on the walls of the schoolhouse from those early math lessons in the classroom. Future plans include refurbishing the house and shearing barn, so Broke Mill RV Park guests can see how the ranch operated. “When the family moved here, there was no water on it,” Charles said of the property. The family hauled barrels filled with water from the Devil's River and used a dirt tank – a pond – to store water for use. “I don't imagine they took many baths in those days,” he said with a chuckle. “They called this Kelley Ranch – five miles,” he said. “We called it six miles.” The mile difference in the name depended on whether you measured the distance from the courthouse or from the edge of town, Charles said. The Kelleys operated their ranch the old-fashioned way: They didn’t borrow money, because they had gone broke during the Great Depression. Charles’ father struck a deal with his own father. When Charles’ grandfather died, the ranch would become Charles’ parent’s ranch, but they had to pay Charles’ uncle for his share of the property. Instead of striking oil, the wildcatter struck water. Ranching has changed in recent years as the land has been converted to residential and commercial uses like Broke Mill RV Park. “It's to a point you can't make a living on livestock,” Burk said. While the cost of raising livestock increases, he said the prices paid for it don’t. For example, in 1980 calves were sold for $1 a pound and he paid $85 for feed. Today, calves sell for 88-cents a pound and feed costs $415. “The product is still back in the 1960 or 1970 prices,” he said. “It's not profitable,” but he does it “just to keep busy,” he said. “I've done it all of my life.” Burk, who retired from the U.S. Border Patrol in 1981, said his retirement helps make ranching possible. He began working with the Border Patrol in 1953, following service in the U.S. Marine Corps where he earned a Purple Heart during his service in the Korean War. While in the Border Patrol, he worked in El Paso, Del Rio and Comstock. The area has changed since Burk grew up here. He is one of six brothers and one sister — with a span of 15 years between the oldest and youngest. While most of his siblings left, Burk stayed in this area. “Val Verde County was the biggest sheep producing county in the United States,” Burk said. He's not sure of the number of sheep in the county, but recalls pictures that showed ranchers taking wool by wagon to the wool house. “Now, I bet there's not 300,000,” he said thinking about the numbers a bit more. “Hell, there are not 100,000.” He can think of only four ranchers who still raise sheep. Charles left the ranch in 1952 and returned in 1955. A 10-year drought began in 1949 and forced him to move to Austin. He returned and worked in Del Rio at a wool house until he took over his father’s ranch, when he couldn’t take care of it anymore. The Kelley Ranch had about 2,600 acres. The government bought 565 acres for future development around Lake Amistad. Today, Charles ranches with his sons. He and his wife Yvonne, who married in 1954, have three sons and one daughter. While they raise meat goats on the property, another operation keeps the family going. He said in 1978 a rock quarry operation began. It makes crushed rock used in roads and foundations. “It’s kept us going,” Charles said. Charles said they are limited, because they have such a little place, but the goats are important for another reason. “You’ve got to keep livestock on it to keep taxes down,” he said. Without sheep on the land, Charles said the purple sage, ceniza and other vegetation are taking over. “The sheep kept it down,” he said. While recent dry conditions take care of some of the brush, he said he clears brush every day. Charles switched from cattle to meat goats in 2006. The land has changed a lot since Burk and Charles were kids, but that's progress. “The biggest part of the roads was dirt,” Burk said. It was in the late 1930s before roads were paved. He called Hwy. 90 the “Old Spanish Trail.” The road was narrower back then and carried less truck traffic, because freight moved on the railroad. Today, there are more trucks and fewer trains whizzing through the area. Hwy. 90 remains a main east-west corridor. Burk said his aunt and uncle would probably be surprised at how expensive land is these days. When he was growing up, land sold for $3 or $4 an acre. If you had to buy it on borrowed money, it probably wasn't going to work, he said. When the government began catching water for Lake Amistad, Burk said people rushed out there to Rough Canyon to build a house. “Then, they found out, they had to drive all the way to town for a loaf of bread.” The extra miles and extra wear and tear on vehicles seemed to dampen the excitement for lake development. “The lake died off for years, until very recently,” he said. It makes sense, he said. “Town filled up and there was no place to move. With Laughlin Air Force Base on the east, development naturally came west,” Burk said. “It's progress,” Burk said about development in the county. “In the overall picture, it's good for the county and the people who live in here.” More money means more tax revenues for the county, schools and the county hospital, where he serves on the board of directors. Charles said his father was alive to see the lake filling up on the back end of the ranch. “He saw it as full as it ever got,” he said. Since opening, McCarson said the planning and research has paid off. RVers are enjoying the modern facilities and large sites with all the utilities at Broke Mill RV Park. McCarson remains flexible to address RV guests’ needs as they arise. While sites are made to accommodate an RV, boat and vehicle, McCarson said he will create premium sites to handle multiple vehicles. It’s his response to a trend he has seen in his first year in operation.